You’ve been serving your country in the military for years. You’ve gone through rigorous training. You’ve possibly seen a deployment or two, or seven. You’ve probably spent many a night on duty in the barracks, policing your drunken comrades. You’ve gotten drunk in the barracks. You most certainly have been chewed out. You’ve been through a lot. Whether your experience was positive or negative, your life was changed when you joined the military. Now you’re counting down the days, anxiously waiting to arrive at those three letters that will change your life yet again: EAS. When you first joined the military you were put through months of training to integrate you into the military culture and transform you from a civilian into the war machine you are today. Unfortunately, the same can not be said for your transition back into civilian life. For the most part, it’s up to you to educate yourself, and it’s never too early to start. If you haven’t already started to plan for your transition and future career, start now. You are faced with a range of MOS options when you join the military (which all pay the same, for the most part). These options are generally limited by your score on the ASVAB and what jobs your branch needs to fill. After your MOS is chosen or assigned, you are trained in that job, check into your unit and begin working in your MOS—the process is pretty streamlined. In the civilian world, not so much. The civilian world offers a much more abundant range of career options, with various levels of requirements. But meeting a job’s requirements doesn’t guarantee you a job—and they certainly don’t all pay the same. My advice is to think about what you want to do when you get out. I mean, what would you actually like to spend your time doing every day? Chances are you no longer want to deal with military life, otherwise you would re-up. Now is your chance to pursue the life you want to live. Make a list of your top three career goals, then proceed to research your avenues of approach. Whatever your career goals may be, you will most likely need some type of training or education. This could range from on-the-job training to a four-year degree to a PhD. Be sure to research all career path options of the jobs you are interested in to find out what level of education is required. The GI Bill is one of the greatest veteran’s benefits in your arsenal—I certainly could not have afforded my degree without it. You may not realize it now, but school debt can be crippling (just ask any non-veteran with a degree), and utilizing your GI Bill can take a huge weight off your shoulders. That being said, be sure to thoroughly research any school or degree you pursue before commiting. Make sure your degree will translate to jobs that are actually available in the current workforce, otherwise you may end up wasting your GI Bill on an underwater basket weaving degree that will get you nowhere. Those of us who have served in the military tend to have a higher level of confidence than the average civilian (“I been to WAR, bruh!”), and that can have both positive and negative consequences. Our training and experience in the military can be translated to skills in the civilian world, but don’t get too cocky. Being a veteran doesn’t automatically equal a job when you get out, and your military experience most likely won’t be enough to get by. You’re going to have to continue to work, train and educate yourself in order to achieve success. Don’t be surprised when you don’t get hired for the first job you apply for. Or the second, third, fourth or 20th job. Be patient, be persistent, learn from your mistakes and keep growing. Always remember there are countless great companies that want to hire you! I know you’re excited—as you should be. Transitioning from the military life to life as a veteran in the civilian world is a huge step, and it’s not always easy, but what worth doing is? 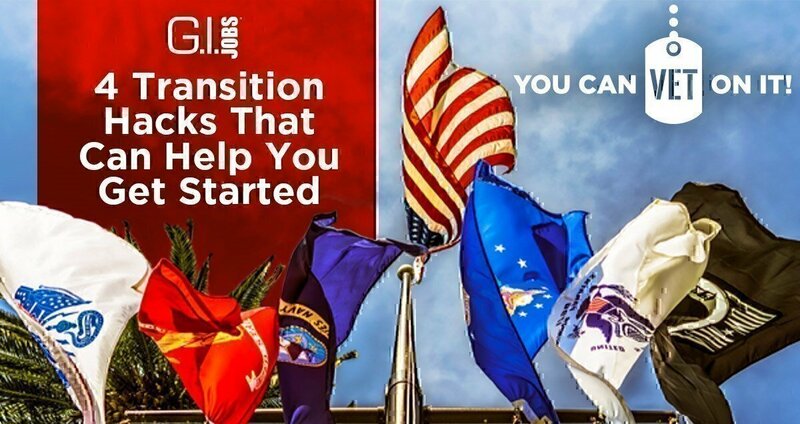 Do you have any tips or tricks you want to share with your fellow transitioning veterans? Click to button below and let us know! Join us as we go live on Facebook on Friday, June 1st at 1:30 PM EST! 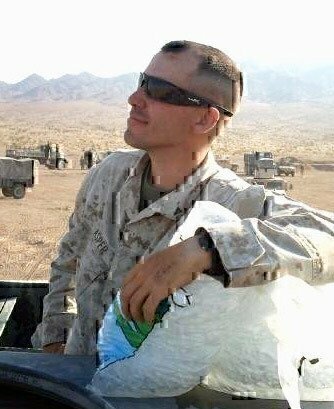 USMC CPL (2005-2011), Mike Asper gives you some key tips on how to make the most out of your transition into civilian life.